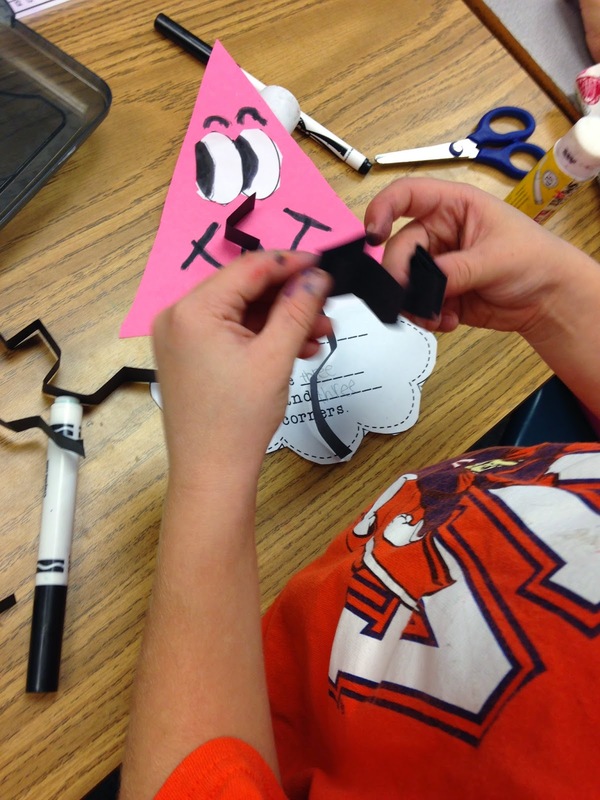 We are finishing up our geometry unit this week. This is one of my favorite units to teach in math because it is so hands on! Here's a look into some of our work. 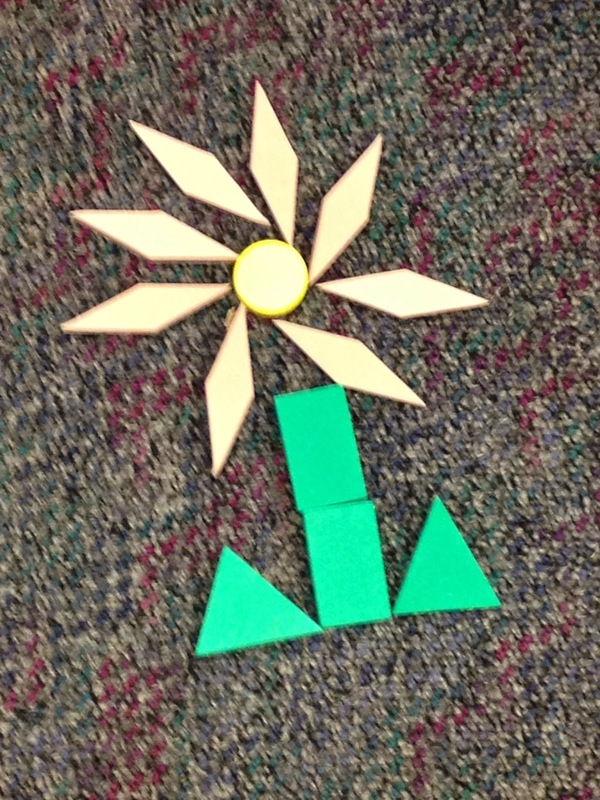 One of our centers had containers of shapes. 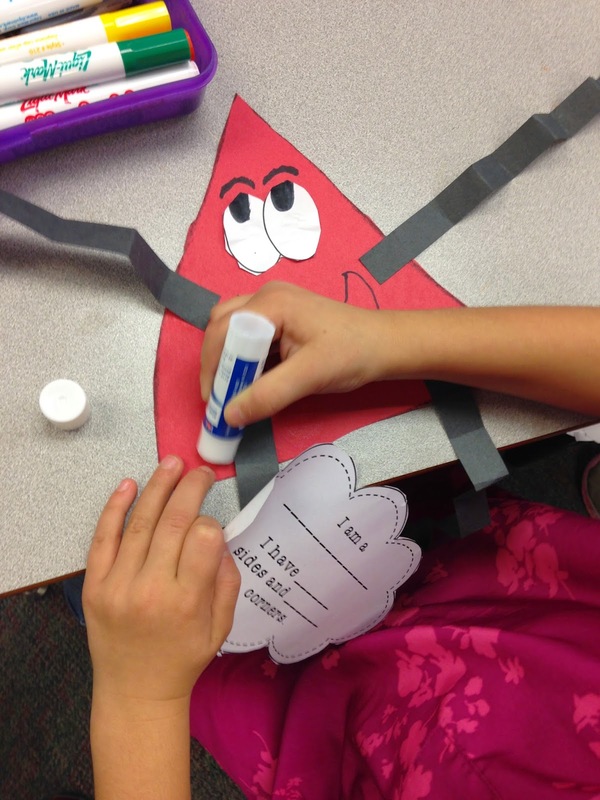 The kiddos had the chance to play and see what they could create using the shapes. 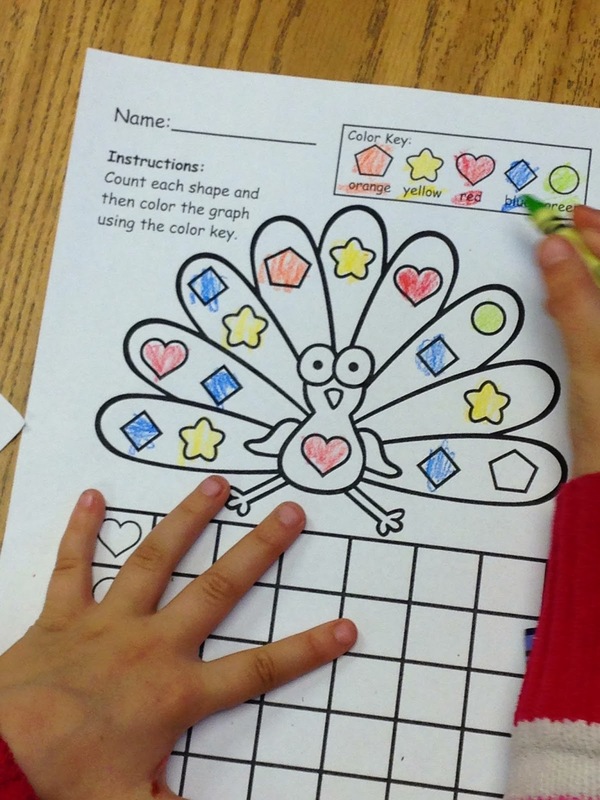 This is one of my favorite printables to use in centers for Thanksgiving. It works out perfectly that we are doing our geometry unit at the same time! 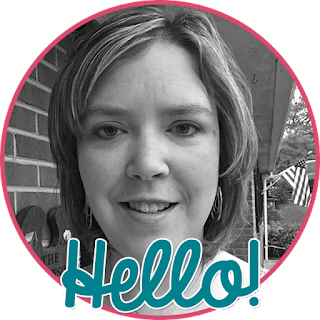 This is a freebie from Pink Cat Studio on Teachers pay Teachers. Click here to go to her store! I LoVe clip cards! I am adding clip cards to many of my math units to have ready for math centers. 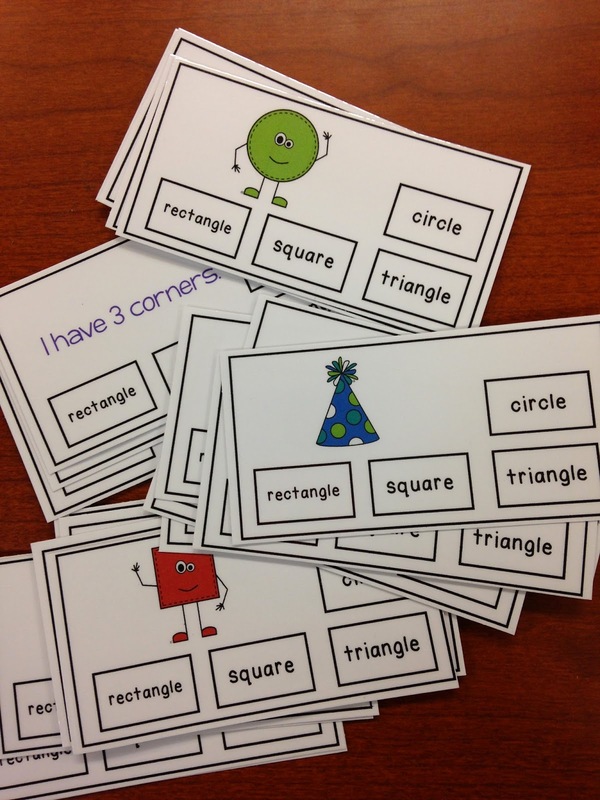 These new clip cards have just been added to my geometry unit. All of the words at the bottom of the cards are the same for each. Click here to go to my geometry unit. Because the past few weeks have been so busy, we haven't had time to make anything! That was remedied this week when we made our shape people. I have to include a picture with our girls! 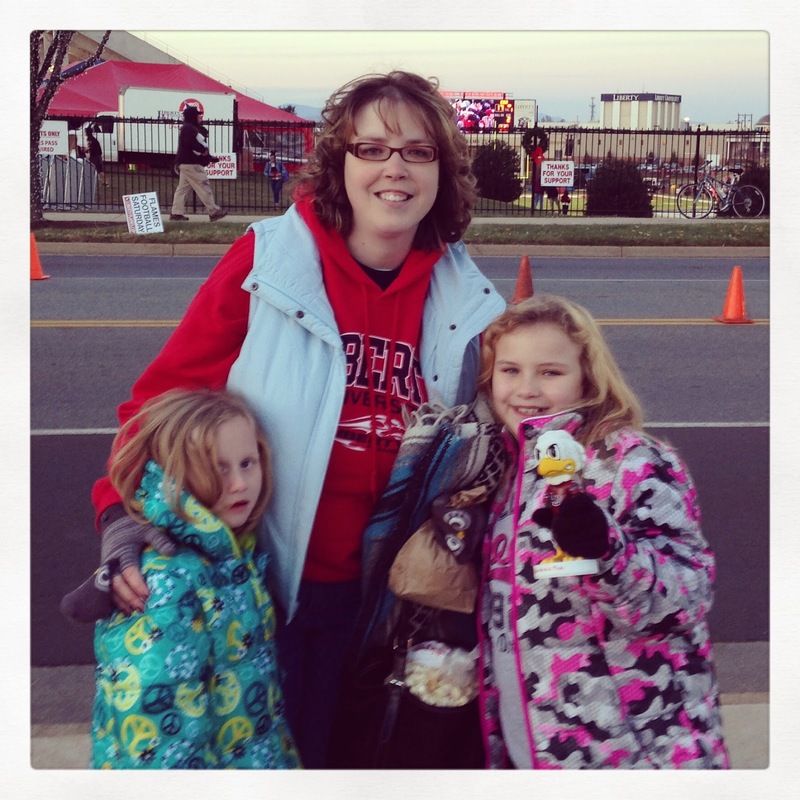 We went to the last Liberty University home game on Saturday. It was so cold that we only lasted until half time, but we had fun!